Come learn all about hand applique and how to layer applique pieces while working on a small (12 x 19") wallhanging featuring Izobel the giraffe. Nancy will also demonstrate how to make a pieced background for the giraffe (or the background can just be a single piece of fabric). 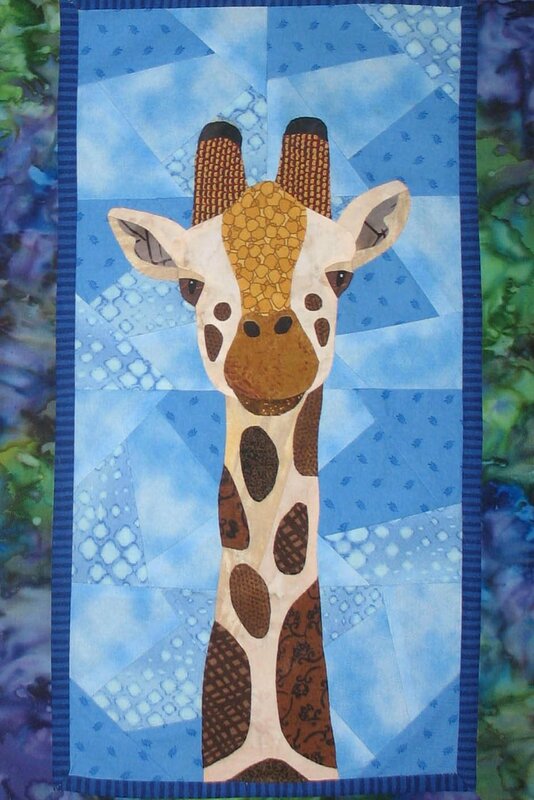 Nancy will also demonstrate how to make an applique pattern from a giraffe photo. Beginners are welcome.